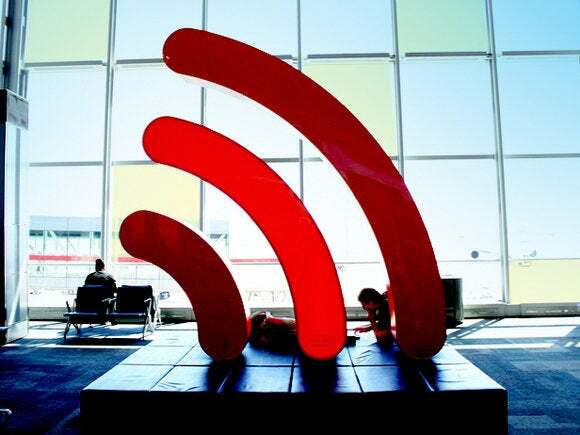 Wi-Fi has numbers now, and the sixth-generation version is coming in 2019. What’s with the new numbers? What’s Wi-Fi 6 (also known as 802.11ax)? How fast will Wi-Fi 6 be? When are Wi-Fi 6 products coming? When will Apple adopt Wi-Fi 6? Since the beginning, Wi-Fi network standards have been designated by a set of numbers and letters only an engineer could love. 802.11b, 802.11a, 802.11g, 802.11ac (there are two letters now? )… how can you possibly expect regular users to know what they’re buying or connecting to? In a stunningly rational move, the Wi-Fi Alliance (the industry group that sets Wi-Fi standards) has decided to dump the confusing alphabet soup and go with simple version numbers. The networking standard previously known as 802.11ax will now be known as Wi-Fi 6, and it’s coming in 2019. Here are some answers to common questions about the new standard. The Wi-Fi Alliance has decided that simply using IEEE standard designations on products is probably a little too confusing. Now, instead of seeing routers with “802.11n” and “802.11ac” and such, you’ll see simple generational numbers like “Wi-Fi 3” and “Wi-Fi 5.” Those 802.11 numbers are still there, but they’re not meant to be used in marketing and user-facing menus. It’s the kind of decision they should have made two decades ago. Here’s how the old letters correspond to the new “generations” numbering scheme. Starting soon, you’ll find these numbers on products boxes and marketing materials, but they’re also meant to be used in software on your devices. You’ll need an update to your laptop, phone, or tablet to add the symbols, but then you’ll be able to clearly see what kind of network you’re connecting to. If you see two networks available, one with a Wi-Fi 4 badge and one with a Wi-Fi 6 badge, it will be obvious to nearly everyone that you should connect to the one with the higher number for a better experience. Instead of complicated numbers and letters, Wi-Fi networks will just have clear generation numbers. You’ll notice there are no Wi-Fi 1, 2, or 3 networks. You might assume that those would correspond to 802.11b, 802.11a, and 802.11g, but the Wi-Fi Alliance has decided that any network prior to 802.11n just won’t be given any number at all. They wouldn’t want to make things too easy to understand. Wi-Fi 6 (802.11ax) will connect to the 2.4GHz and 5GHz frequencies you’re used to. Its predecessor, 802.11ac, only operated on the 5GHz frequency—if you have a router that supports 2.4GHz and 5GHz, it uses 802.11n (Wi-Fi 4) on the 2.4GHz frequency and 802.11ac (Wi-Fi 5) on the 5GHz frequency. The new standard works across both frequencies, so you’ll get a huge boost in performance at 2.4GHz. Wi-Fi 6 is all about using new technologies to squeeze a lot more bandwidth out of those same frequencies. In particular, it’s focused on more effectively handling lots of devices all connected at once, so your real-world speeds in a house full of devices (or in a coffee shop or train station where lots of people connect at once) should be many times faster. OFDMA: Orthogonal frequency-division multiple access (OFDMA) is a way to improve efficiency of multi-user MIMO streams. Think of a checkout at the grocery store: old Wi-Fi was one cashier checking out a whole lot of customers. Multi-user MIMO let four cashiers check out four lines of customers. OFDMA lets each of those four cashiers check out four customers at once, if they’ve got the time. MU-MIMO uplink: In Wi-Fi 5, multi-user MIMO (Multiple-Input, Multiple-Output) only works on the downlink connection—from your router to your device. In Wi-Fi 6, it works in both directions, so your router can simultaneously receive data from different devices on different channels all at once. And the MU-MIMO channels have been boosted from a maximum of four in Wi-Fi 5 to eight in Wi-Fi 6. Target Wake Time: Improves the sleep and wake efficiency on mobile devices like phones and laptops. This can help reduce power consumption and reduce congestion on crowded networks, too. It was initially developed to help with low-power IOT (Internet of Things) devices, but it could be a big benefit to Wi-Fi on phones, tablets, and laptops too. Wi-Fi 6 will include several other technologies to help improve efficiency and deal with congested networks like dynamic fragmentation and spacial frequency reuse. Essentially, it’s a bunch of new technologies (many of which are currently used in LTE networks) to get a lot more data to more devices using the same amount of frequency bandwidth. The theoretical maximum bandwidth of a single stream is 3.5 gigabits per second, but up to four streams can be delivered to a single device, which means a maximum of up to 14 gigabits per second! In reality, you’ll never see anywhere close to that number. What’s important about Wi-Fi 6 is not just the maximum speed on paper, but that it’s specifically designed to deliver faster real-world performance in the kind of networks we see today, with lots of connected devices and plenty of interference. We won’t really know how much faster things will be until there are plenty of shipping products to test, but conservative estimates say a network full of Wi-Fi 6 gear should be able to deliver four times the bandwidth to devices as the same network full of Wi-Fi 5 gear, and possibly much more. The Wi-Fi (802.11ax) standard is expected to be ratified by the IEEE in 2019, but as is the case with previous Wi-Fi versions, it’s almost a formality. Most of the standard is already nailed down, and we’re going to start seeing “draft” or “interim” 802.11ax products as early as late 2018. ASUS, for example, announced a whole line of 802.11ax routers at Computex in June. The Wi-Fi Alliance will start certifying interim Wi-Fi 6 devices late in 2018, and we’ll see more broad product rollouts in 2019. Apple has never lagged far behind the state of the art in Wi-Fi technologies, but it’s also not quick to jump on unproven standards. The company no longer makes its own AirPort routers, but it’s not at all unreasonable to expect MacBook laptops and even iOS devices in 2019 to support Wi-Fi 6. Same Wi-Fi “generation” icons from the Wi-Fi Alliance. Will Apple use something like these in their menus in iOS 13? We still don’t know if Apple will make use of the new numbering scheme in iOS, perhaps showing Wi-Fi generation numbers in the status bar or Wi-Fi connection settings, for example. It would be a good idea, as it makes it easier for users to know which are the more desirable networks in which to connect. If Apple does implement such a thing, we would expect it in iOS 13, not as an update to iOS 12.